Here we are in week two of Tea Tuesdays! I've been sampling various blends, each one better than the last. 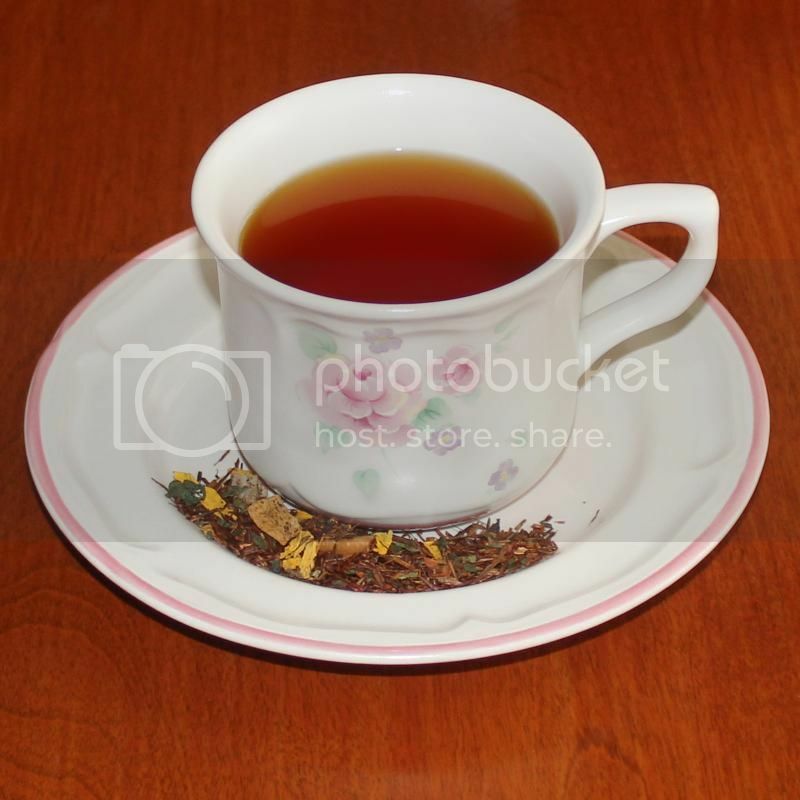 I'm still on a UK Tea Shoppe kick, and today I'm sharing their Pumpkin Cream Roobios. This is a red tea, and this particular blend includes honeydew melon, apple pieces, stinging nettles leaves and sunflower blossoms. I don't know if you remember the 50/50 ice cream bars but, if you add a bit of cream before drinking, it is reminiscent of that childhood treat. It makes for a wonderful red tea latte! I'll admit, I wanted to try this particular flavor from the UK Tea Shoppe because 'tis the season for pumpkin goodness. I was pleasantly surprised to find that while it is a nice autumn indulgence, it doesn't feel too seasonal so I'll be able to enjoy it all throughout the year! Remember, you can follow the UK Tea Shoppe on Facebook for fun giveaways and flavor updates!